I am on a solo shadow roll this year (read this previous post on some great one swipe shadows I discovered)! I have again found some great formulas that are easy to throw on and go. Don't get me wrong, I love a good palette, but I think using one color on the lid can not only be easy but look as polished and refined as a more intricate look. 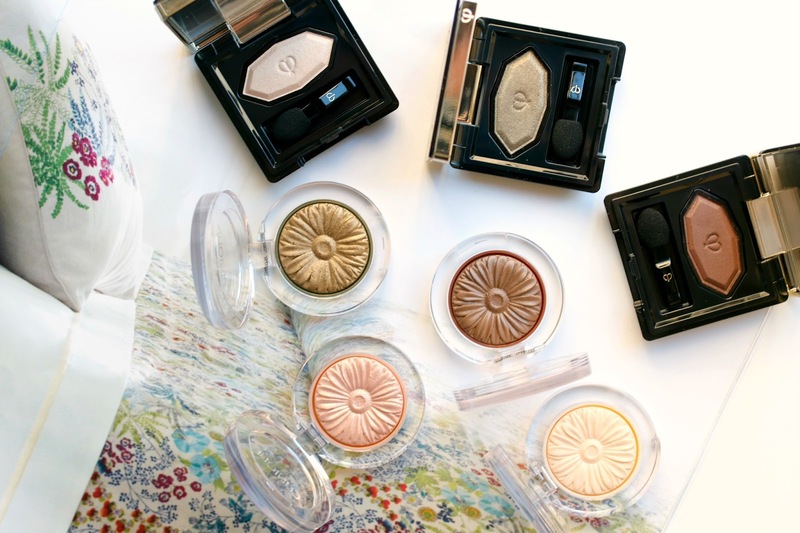 Both of these formulations are new and naturally I had to try out the neutral shades - and there are some great ones! 1. 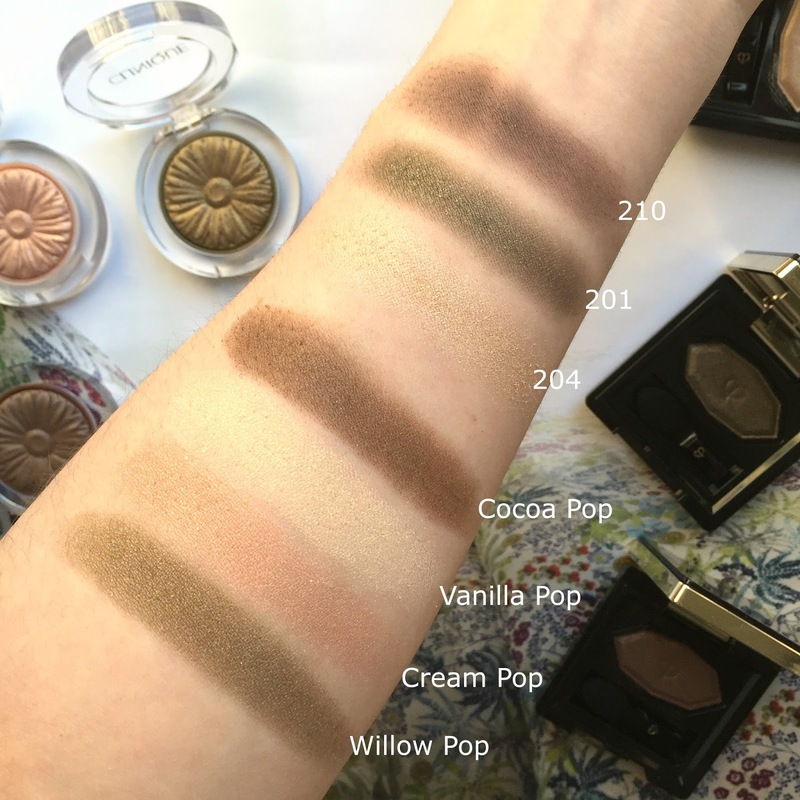 Clinique Lid Pop Eyeshadow in shades Cocoa Pop, Vanilla Pop, Cream Pop and Willow Pop - After naming the Clinique Pop Lip Color in my 'Best of Beauty 2015' video, I had a feeling I would love the eyeshadows just as much. They are buttery, rich and have a medium pigmentation that allows for a sheer wash or can be built up to be more opaque. In addition to the neutral shades I have shown here, there are some really fun bold shades for those that want a bit more color. Aqua Pop and Grape Pop are the perfect shades for a summer tropical beach vacation. No makeup is ever too bright when on an island - well even if it is, I probably won't see those people again so no harm no foul! Ha! 2. Cle de Peau Beaute Satin Eye Color in shades 201, 204 and 210 - I already love and use the CDP eye color quads (see swatches here), so I was hoping the formula would be similar to those. While the texture of these solo shadows are as smooth as the quads, the shimmer is much more muted. Shade 204 is a gorgeous champagne shade that will not look like a disco ball on the lids, while 201 is a more gray based green perfect for a smudgy smokey look. Shade 210 is too dark for me all over the entire lid, but has become one of my favorite crease shades to use in order to deepen up a look. As with the Clinique shades, there are also a slew of fun shades in a variety of vibrant colors. Those that are itching for a new spring eye look will find that 115, 203 and 205 are a pastel lover's dream.